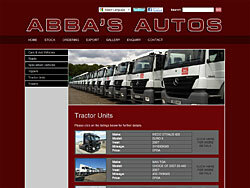 We recently created a website redesign for Abbas Autos, a truck location and Export Company based in the United Kingdom that locates, sources and exports all new and used both semi & heavy commercial vehicles, to trade and private clients worldwide. 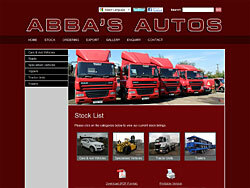 The new website includes stock feed integration to Autotrader, Twitter and Facebook through our custom Apps. 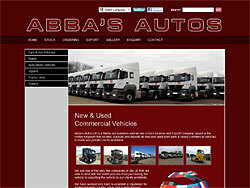 Click the screenshots below to visit Abbas Autos.